Ipswich Town have had a dreadful Championship season so far as they sit rock-bottom with only 24 points from 38 games. The club is already experimenting ahead of next season when they will play in League One. Having said that, they have been in fine form and go into next weekend’s clash against Hull City unbeaten in the last three and with only one defeat in their last five Championship games. We asked the experts at bestbettingsites.online what we should expect from the upcoming match. “Despite all the problems that Ipswich Town have had this season, in recent games, there has been a clear improvement in the squad,” said John Pentin, editor in chief of the football betting section of bestbettingsites.online. Mr Pentin has worked in the past with top betting operators like Ladbrokes and William Hill, and in recent years has been one of the most successful football tipsters in the UK. In addition to being a passionate punter, he also likes playing online casinos. For this reason, he has been involved leading the casino review team on a popular online casino comparison site called Casino Biggest Bonus. “Sometimes playing without pressure can make a big difference with players who are keen to show their worth in what is remaining of the season,” he said. The main issue for Ipswich Town has been at the back as they have conceded 62 goals and they are really struggling to keep clean sheets. For all those reasons Mr Pentin believes there is value in backing Ipswich Town to defeat Hull City when club football is back next weekend after the Euro 2020 qualifiers. Ipswich are currently at 3/1 to beat Hull with several top bookmakers. The Editor produces this site in his spare time at his own expense, so why not buy him a beer to help keep the creative juices flowing (and help with the bills)? 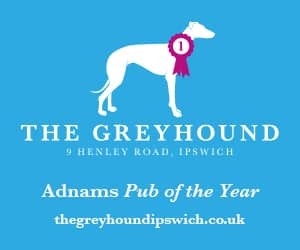 Donate now and it will be spent wisely at The Greyhound public house, the Suffolk Gazette’s prestigious corporate HQ. SELECT YOUR “BAR TAB” FROM THE OPTIONS BELOW, FILL IN YOUR DETAILS (EMAIL ADDRESS SHOULD BE YOUR PAYPAL ADDRESS) AND HIT ‘DONATE NOW’! All material, unless otherwise stated, is copyright Magic Word Media Ltd. Company no. 11342129. 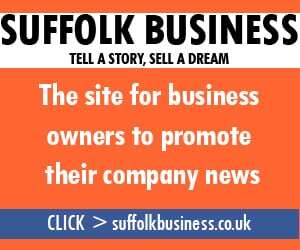 Suffolk Gazette Copyright © 2019.